Dive into Sofi Tukker’s festival wardrobe! Have a peek at our GTM 2019 Merch! 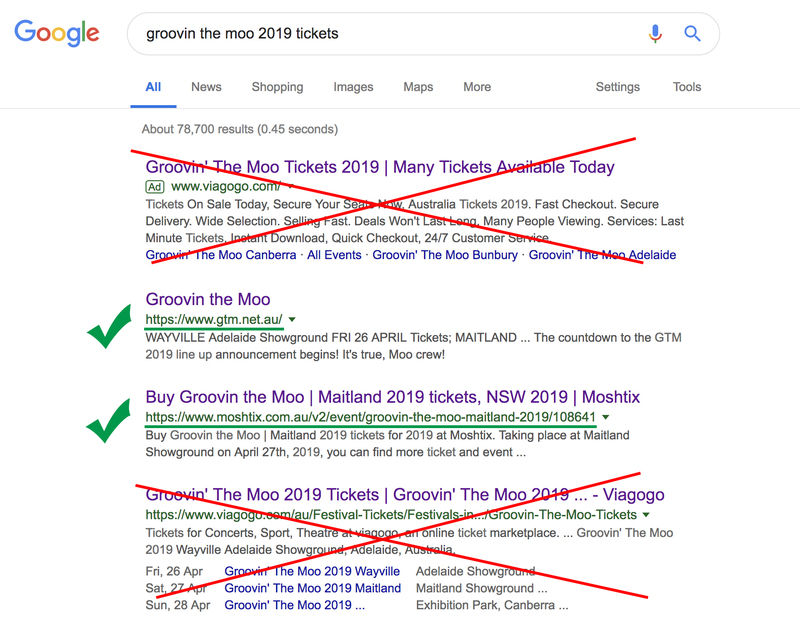 Before our General on sale of tickets for Groovin the Moo 2019, we thought we would again shine a light on the risks of purchasing through any unofficial ticketing platform (Viagogo, we’re looking at you buddy). If you don’t want to purchase a fake ticket to GTM 2019 or would like to know a bit more about Viagogo, read on. Viagogo is an unofficial online ticketing resale marketplace, with their head office based in Switzerland. The site allows you to buy and resell tickets to a variety of entertainment events including festivals, concerts & sport. You can usually find their site at the top of your Google search for just about EVERY major event that has tickets being sold for it. They pay top dollar for this ad space to confuse people into thinking they’re an official ticketing site. Here’s an example of some of the high pressure scare tactics the site employs to make users panic and impulse purchase tickets, through fear of missing out. Firstly, you think you may be purchasing a ticket to Groovin the Moo 2019 (or any other event) but this is not always the case. Viagogo only facilitate the exchange of tickets, which means they don’t ask to see the seller’s ticket whatsoever. This is a concern as anyone is able to list a ‘ticket’ for sale without actually having one, making purchasing very unsecure. This has led to instances of duplicate tickets being sold, tickets not being delivered on time or at all, and of course fake tickets being sold to mislead people. Secondly, sellers are able to set their own ticket prices – so you end up paying sometimes more than 200% of the tickets original value, which is just not on and is totally unfair to music lovers who will do anything to go to a festival. Another interesting note here is that ticket prices do not include booking and delivery fees – which have been known to fetch up to as much as $120 on top of the exorbitant price for the ‘ticket’ itself. When you’re billed for your final purchase on the site, it converts to US dollars which is again very misleading. So what, I’ve bought a legitimate ticket from them before? This can sometimes be the case. But we stress it is NOT ALWAYS. We cannot guarantee any purchase will be a safe one, and by purchasing from them, you limit our ability to help you! Even if you do secure a legitimate ticket through Viagogo, your ticket MUST match your name and date of birth to gain entry into GTM. This can only be fixed by the original ticket holder logging into their moshtix account and reissuing the ticket. 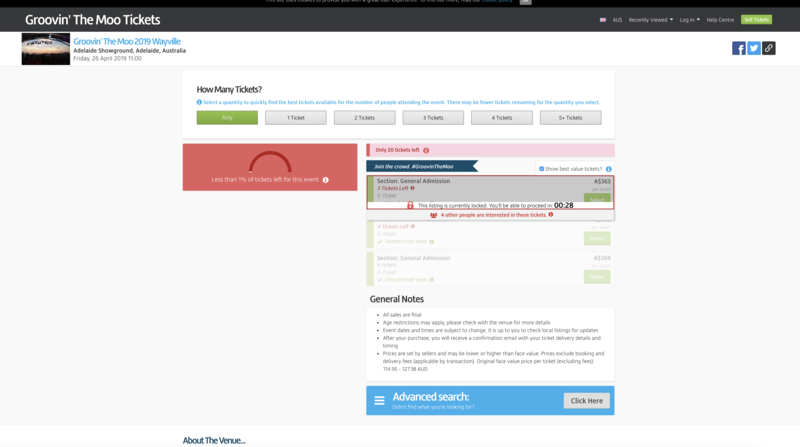 You can attempt to approach the seller to change the ticket details, but this can be quite difficult. How do Viagogo get their tickets? We believe it’s only a small percentage of people legitimately selling their tickets, with the remainder being ticket scammers or ‘Touts’ and computer bots. They’re usually equipped with lighting fast internet and dozens of credit cards at the ready to snap up as many tickets as possible when tickets go on sale. Unethical and a tricky situation for us to police. If you’ve ever wondered why there is a 4 ticket maximum for purchasing GTM tickets – this is why. If they’re pulling this crap, why haven’t they been shut down yet? In Australia, The Australian Competition & Consumer Commission launched action in August last year, accusing Viagogo of breaching Australian consumer rights law by making false or misleading representations, and by engaging in misleading or deceptive conduct. Unfortunately, the case is still ongoing and is yet to be resolved. Ticket scalping legislation was also introduced for NSW in June last year, citing a $22,000 maximum penalty for businesses selling tickets over the 10% cap. The measures put in place have still been unsuccessful in the fight to stop scalpers marking up ticket prices. In most recent developments, the company was court ordered by regulators to reveal details of their most prolific sellers/Touts, which has given us the biggest insight into the company yet and is the start of good things to come. Who else has spoken out against them? Since we last reported on Viagogo in early 2018, Ed Sheeran and his team have assisted UK activist/founder of group ‘Victims of Viagogo’ Facebook Group, Claire Turnham to help recover almost £1m for victims of the site. Claire’s efforts have earned her a Most Excellent Order of the British Empire (MBE). You can join the Facebook Group here and share your experience. Gang of Youths have also vocalised their disdain for Viagogo and created their own anti Viagogo t-shirts, while The Rubens, Tash Sultana and Amy Shark have spoken quite candidly about the effect the website is having on the industry – for both the musos and fans. As many of you have encountered, Viagogo has become one of the most disgraceful and disruptive scams our live industry has faced in recent years. Viagogo impacts promoters, managers, venues, ticket agencies and most importantly artists and their fans. A number of different bodies over the past 12 months have been talking to both State and Federal Government regarding this issue. There is an opportunity to help eradicate this business from Australia. We are calling for as many examples of how this fraudulent operation has affected your business, additionally, we are encouraging artists to also post on their socials so fans can reply with real-life examples of how they have been affected by Viagogo. We intend to give this documentation to the Opposition Party to form part of their campaign pledge to have this site closed down. It would be greatly appreciated if you could send these examples to stopviagogo@lunaticentertainment.com by Wednesday this week. I’ve bought a ticket and it looks fake. What do I do? Reaching out to their customer support has proven to be quite difficult for customers, but it’s worth getting in contact with them if you’ve been sold a fake ticket. 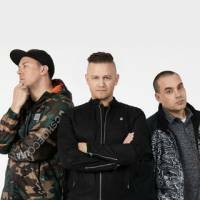 As all of our ticketing is run through moshtix, you may be able to submit a request to moshtix, asking them if they can verify the legitimacy of your ticket, though this is again out of our control. But please keep in mind, that even if the ticket can be verified as legitimate, we still don’t know if that ticket has been sold multiple times. If it has, it means that only the first person to be scanned through the gates at GTM using that ticket will gain access to the festival. If Viagogo are unable to offer you a refund, consider taking further action by calling your local police or filing a consumer complaint with the ACCC. Where should I buy tickets to GTM? The ONLY place you should be purchasing GTM 2019 tickets online from is gtm.net.au or moshtix. Tickets are sold out. How do I get a ticket? Last year after tickets to our shows sold out in record time, we set up an official resale platform with moshtix. This facility will be available once the ticket allocation for our shows are exhausted, so stay tuned to our socials for all the latest regarding our resale! If you have a friend and they would like to offer you their ticket, they’ll need to log into their moshtix account and select the ‘reissue ticket’ option to place the ticket into your name and D.O.B. This will incur a $10 fee. Remember, when you see Viagogo, always say no no!